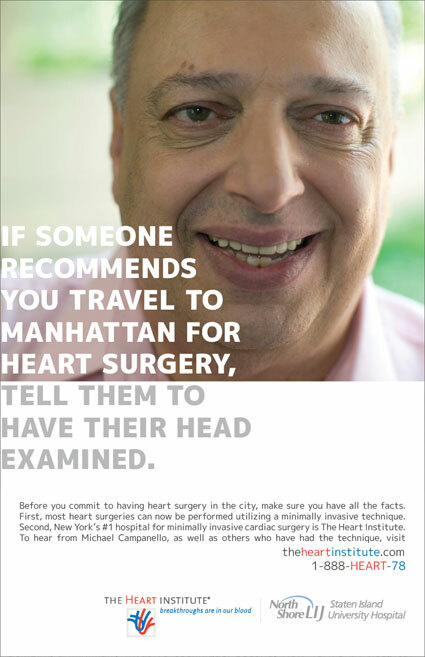 How did we help a local heart hospital become an international destination for cardiac surgery? 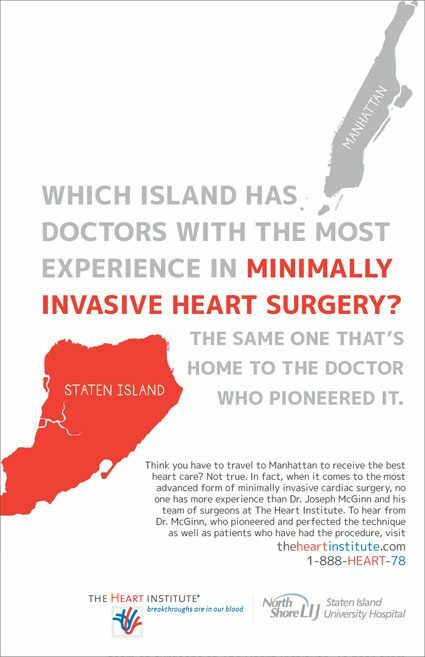 The Heart Institute (THI) had established strong brand awareness on Staten Island, but now wanted to attract patients throughout the state and beyond. Our solution was to focus on the unique advancements and techniques being pioneered and practiced at THI. 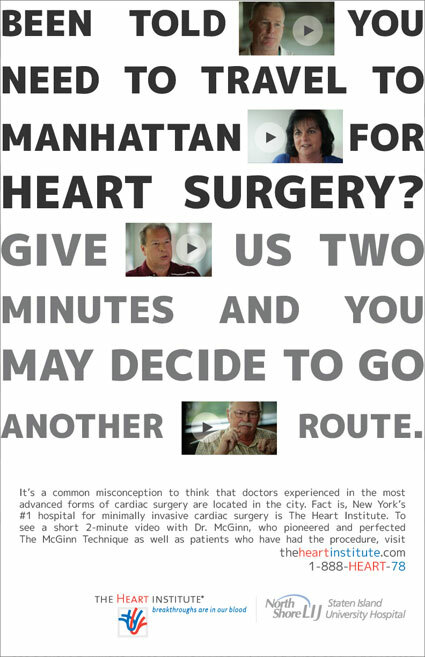 Via a fully integrated ad campaign, we collaborated with THI to position them as a clear leader in the field of cardiovascular surgery and then backed it up with a comprehensive, video-rich, website filled with emotional doctor and patient testimonials. 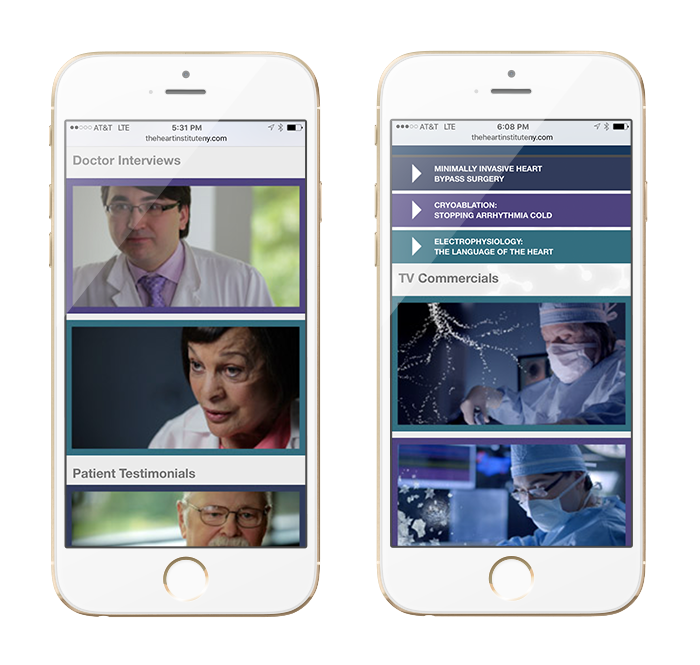 Campaign Elements: TV commercials, print, radio, OOH, brand identity, logo development, multimedia website, doctor video interviews, patient testimonial videos, online ads, PR, social media management, Wikipedia placement, WebMD sponsorship, event management, e-mail/eCRM.